Scent has an undeniably transformative ability. It can spark a memory or take you to a place you've only imagined of going. And yet, so many of us spend years—if not decades—spritzing on our so-called "signature fragrance" without giving it much thought. That's probably why when it comes to giving perfume as a gift, it's easy to get intimidated. Yes, fragrance by nature is personal and emotional, but that doesn't mean we have to take it so seriously. One proponent of getting outside your comfort zone and giving perfume as a present is ORRIS Perfumery's Linda Sivrican, who's life is literally immersed in fragrance. Growing up with a mother who was a florist and an impassioned home cook, the perfumer pretty much laid the foundation for her career at a young age—despite the fact that prior to co-creating ORRIS' six different brands with her husband, she worked in the garment industry. 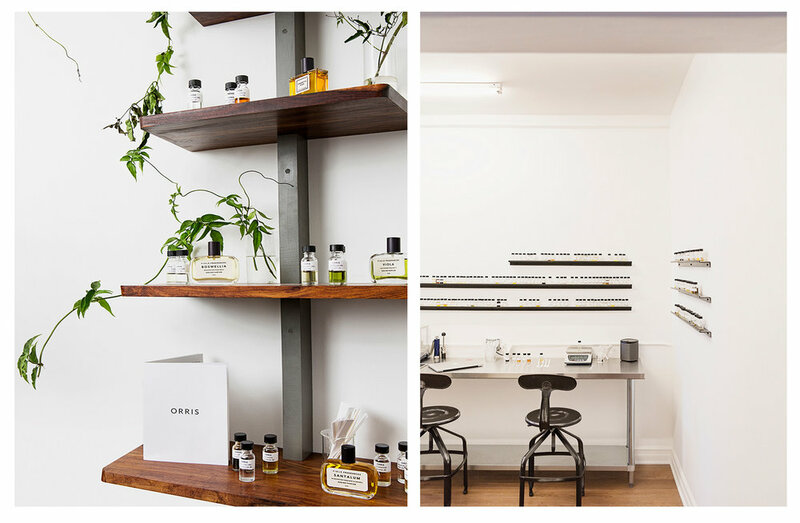 Now that the couple has their own beautifully designed shop on Melrose Avenue (besides having their lines stocked by cool retailers like Shop LCD and Need Supply) and it's the chicest spot to shop for a brand new scent for you, or someone on your shopping list this holiday. With the release of Angie, a bespoke fragrance created for Clare V stores, as well as a ORRIS' new all-natural brand, Aureum Botanica, it was the perfect time to us to ask her best advice on how to shop fragrance. What's your earliest fragrance memory? My earliest memory is Jean Naté. Anais Anais by Cacharel was a fragrance I wore when I was like 5. At every age, I was wearing fragrance—and I would go and buy it myself with my own money. I would spend hours in the store picking out fragrances for friends and relatives. A lot of people are afraid to pick out a perfume for someone else and would just opt for a gift certificate. What would you tell someone who's of that mindset? I think it's more endearing to give a reason as to why you chose that [perfume] for them. Also I think people are intimidated when don't know what the person they're giving a gift to might like or don't have the language to describe it. If you ask someone what fragrance they like, it can be really open to interpretation. Some people think fresh is powdery, some people think fresh is laundry scent. So I say, throw that out the window and when you smell fragrances, just think if it gives you a reason to connect with the person. Does the scent remind you of them in some way or does it connect to an experience you two had together? It's more sentimental of a gift, and that's what fragrance is. It's emotional. People seem to get stuck in a rut with their personal fragrance, which might be why they're intimidated to shop for perfume. How do you suggest breaking out of your comfort zone with fragrance? It's always helpful if you can go into a store where there is staff that's knowledgable and passionate about fragrance—and you don't always get that. I would recommend trying fragrances out on yourself and if one elicits a beautiful response, then I think it would probably make a good gift. Just the same as if you're shopping for something tactile like clothes: if you find something that feels soft and great on your skin, someone else would probably like it as well. Same thing with a fragrance. And there's many ways to wear it. They may not put it on their body, but they spray their stationary with it or their pillow case or scarf. There are many ways to enjoy scent even if it's something you might not wear on your skin. Let's say I walk into a shop looking for a fragrance gift. Where do I start? If you came in, I'd first ask if you know what the person you're shopping for normally wears. Because I have an intimate knowledge of what goes into every fragrance of mine I can speak to that. For example, if you said "she normally wears Opium or Obession," those are very strong fragrances. Then I'd ask if you want to get her something similar or if you want to surprise her. I'd probably also speak more to you as the buyer than to the person you're gifting because then you have an immediate response and interaction with the person that's in front of you. That way, you're feeling really good about giving that gift to someone and it doesn't feel so disconnected. Lots of us have different sunglasses on depending on what outfit we're wearing but for some reason most of us don't do that with fragrance. Why do you think that is? I still find it surprising that so many people only have one fragrance. Maybe people like the idea and comfort of having a signature scent or haven't yet found anything else that they deeply love. I can understand where people are coming from because before opening the store I probably hadn't shopped for new fragrance in a decade. I stuck to what I liked. I think when you're open to trying something new and not focusing on just finding "the one" (and only one), and look at it instead as just a luxurious accessory, it opens the door to so much more. I see people shopping that say "does this smell like me?" and I ask them, "well, who are you today?" What's the best way to try on a fragrance? Try it directly on your skin or hair. Sometimes even when you love a fragrance it doesn't work well with your skin but your hair will act as a neutral palette. That way you can still enjoy that scent as your hair diffuses it around you. You can also spray on your clothes, which will hold it. But the main think I always say is to not buy blindly. Really try it on. 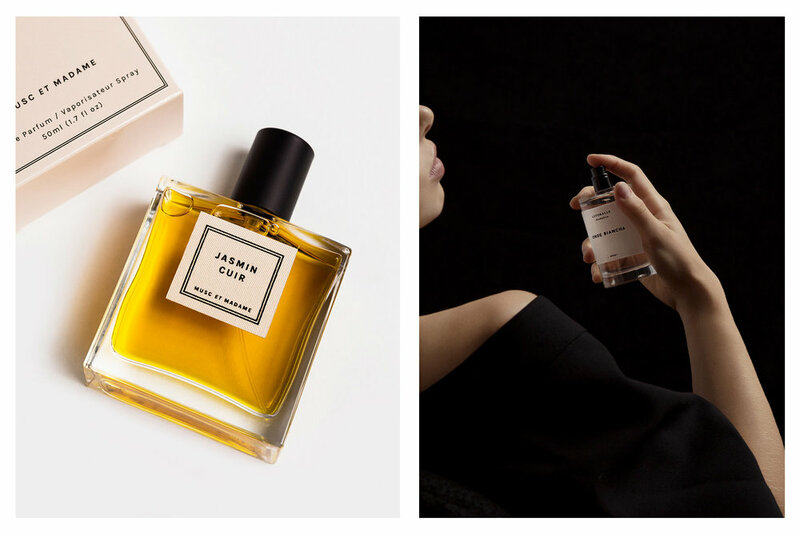 You recently worked with Clare Vivier to create an exclusive fragrance. How did you two come up with the final product? She was cool because she gave me an idea of what she was looking for but she wasn't controlling about it. She trusted me to make something that she would like. I did research on her background and picked ingredients that fit the story. For example, since she loves France I made sure I used French hay absolute and I used cypress because it's native to Minnesota, where she's from. So everything had a symbolic meaning that also translated olfactively. I also wanted to make it fit her brand: modern, chic, a little feminine but not frou-frou, a little tomboyish.